The Temple Respecting the Scriptures of the Way was built in China to centrally organize a small Jewish community and connect it to the outside world. Its destruction by a flood fractured their society, and the Chinese Communist Party (CCP) is now making sure it will never be rebuilt. 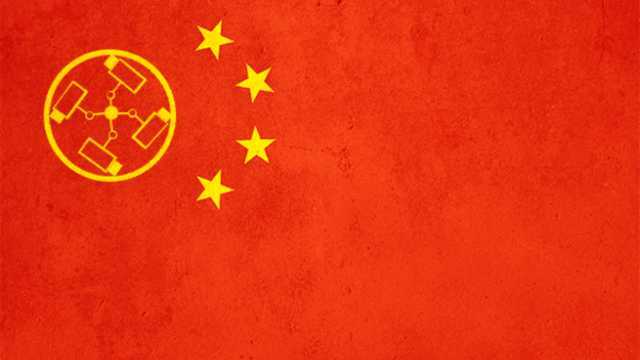 The CCP’s systemic surveillance and detention of its Uyghur and Kazakh Muslims has come under intense scrutiny by the international community. And though it stands as the gravest and most methodical violation of rights ongoing in China, it is part of a wider set of policies that constitute Xi Jinping’s “New Era,” which seeks to homogenize the identities of all Chinese citizens and subsume religious beliefs and practices under the authority of the state. 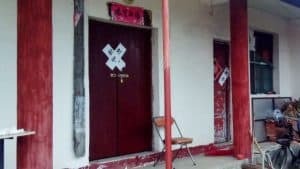 China’s New Era of surveillance and secularization has now reached a small community of Jews in the rural region of Kaifeng, in central China’s Henan Province, who report being afraid to gather in public spaces or speak out against the CCP’s surveillance of them. Their history is as intriguing as it is threatened by policies that have prevented contact with foreigners and halted the reconstruction of their destroyed synagogue. Their small community’s silent repression is emblematic of the CCP’s relentless drive to surveil and control its people. 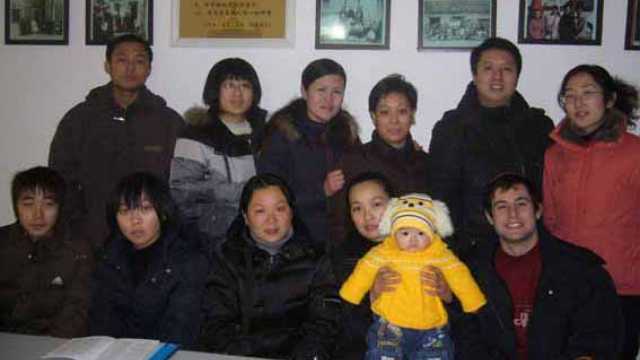 For many, the fact that China is home to a Jewish community who have lived in relative isolation for over a thousand years comes as a shock. 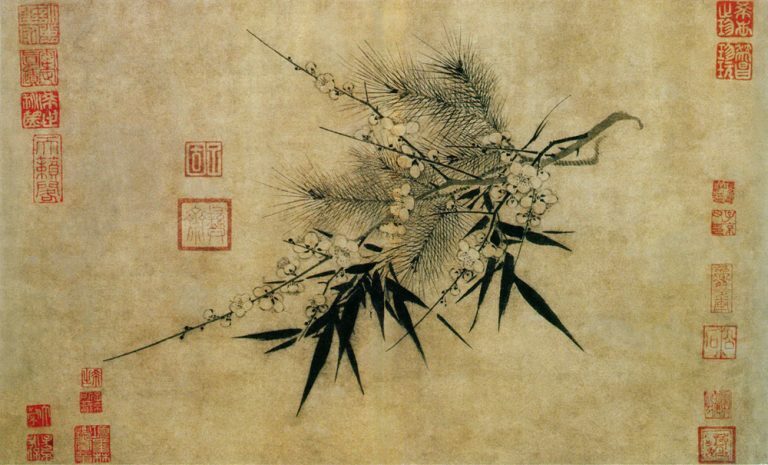 But the Kaifeng Jews were once a prosperous, well-connected group who lived in the center of eastern Asia’s Silk Road trade route. In the 9th century, a group of Persian Jewish merchants arrived in China via the Silk Road. They were warmly received by envoys of the Northern Song Dynasty in the city of Kaifeng. Eventually, the merchants decided to settle in Kaifeng and began socially integrating into Han Chinese society. Though the process was slow and took centuries, they married into local Han Chinese families. These Persian-Han families combined the traditions of Judaism with social and religious elements of Han Chinese culture, and in the process, coalesced as a singular, distinct group in China: the Kaifeng Jews, who numbered over 1,000. The Kaifeng Jews then decided in 1163 to erect the Temple Respective the Scriptures of the Way, a synagogue around which they would organize their religious and communal life. “Their biggest problems were the Yellow River, which destroyed their synagogue – along with the rest of Kaifeng – multiple times,” Anson Laytner, president and founder of the Sino Judaic Institute (SJI), told me. Their proximity to the Yellow River, which is prone to sudden and overwhelming floods, continuously threatened the synagogue, as did periodic wars. 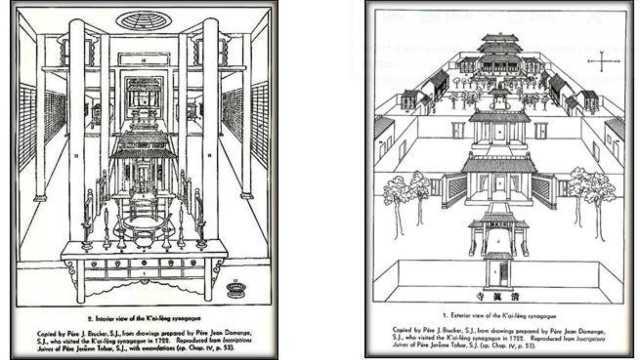 It was ultimately destroyed over ten times, but the Kaifeng Jews, who were still prosperous merchants, were able to afford its reconstruction. Once the Silk Road’s trade began to dry up, however, the social fabric forming the community began to deteriorate. During the 1700s, Kaifeng’s regional importance dwindled, as did the economic outlook for its Jewish community, who were now fully integrated as ethnically Han Chinese. Then the Qing Dynasty closed off China to most foreigners, which utterly isolated them from the outside world. To make matters worse, in 1849, another gargantuan flood from the Yellow River destroyed the synagogue again. The now cash-poor Kaifeng Jews were unable to rebuild it, and its ruins laid abandoned for hundreds of years: a venerable symbol of the community’s thriving past and foreclosed future. Shortly thereafter, their only rabbi died without training a replacement. With no physical space or spiritual guidance, the embattled community began passing down its history and traditions orally while it slowly fragmented and it lost many of its links to its storied history. However, when Deng Xiaoping instituted an Open Door Policy to China in the late 20th century, Western scholars, academics and tourists began flooding in to visit the Kaifeng Jews who they had heard about but were never able to meet previously. Some studied the group’s development and unique combination of Jewish and traditional Han faiths. Others, like Anson Laytner, began working to reconnect the community to its historic Jewish roots. The first order of business was rebuilding the synagogue. “Like other people, I was fascinated by their story of survival and impressed by their commitment to their Jewish identity even when they only had memories to keep that identity alive,” Laytner told me. Laytner’s SJI began to build a Jewish school in Kaifeng, while another Jewish group, Shavei Israel, established a local office in Kaifeng. 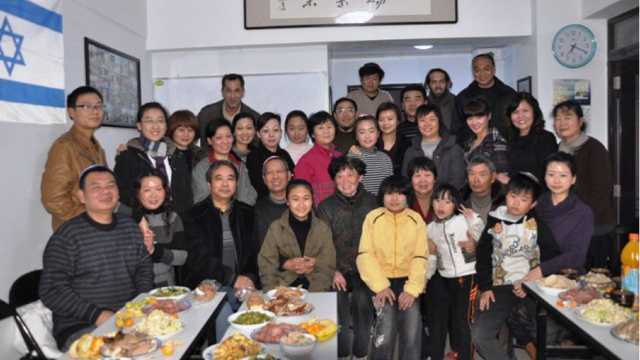 There, they sought to provide a communal space “to provide an authentically Jewish environment where the Chinese Jews could learn about Jewish history, culture and values,” according to Michael Freund, president of the organization. Around the historic area where Kaifeng’s Jews lived, Hebrew signs began showing up, and museum exhibitions detailing the lives of their ancestors attracted further tourists from around China. The synagogue’s reconstruction too was initially approved by the local Construction Office. As the ambitions of foreign religious leaders grew, and evidence began to surface that their efforts were making a tangible difference in the way Kaifeng Jews understood their faith and history, the CCP sought to reassert control over what they deemed was foreign meddling. When news of this plan reached the central offices of the CCP, orders came down to shut down the projects and to cut off Shavei Israel’s other efforts in the community. The Kaifeng Jews, now a rural and mostly poor people, were unable to maintain any of the reconstruction efforts. New rules also forbade public Jewish gatherings on holidays. The Hebrew signs were torn down. A museum exhibit showcasing Kaifeng’s Jewish history disappeared under a new regulation. 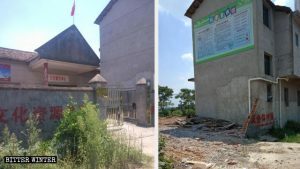 “We believe, but can’t know for sure, that the suppression of Jewish life in Kaifeng is connected with the crackdown on unauthorized Christian and Muslim grassroots activities,” Laytner said in relation to the crackdown. 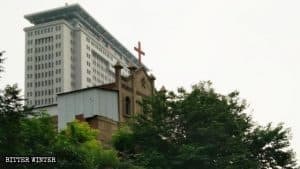 And while the CCP is orchestrating a project to re-engineer the social and religious identity of Muslims and many Christians who practice in unauthorized house churches, their crackdown against the Kaifeng Jews is more complicated and relates less to outright secularization. Above all else, the CCP seeks to dictate the terms in which the Kaifeng Jews understand their history and identity. In contrast to the foreign Jewish groups, who worked to build bridges between the isolated Kaifeng Jews and a global Jewish community, the CCP aims for them to remain firmly as insulated Han Chinese, governed by the rules of the CCP rather than the religious priorities of international organizations or other countries. “The new law on religion had led to a crackdown on foreign Jewish missionaries and on foreign money funneled for this purpose, as the law also ‘cracks down’ on the same with regard to foreign Evangelical and Salafist Missionaries,” Jordan Paper, professor emeritus at York University in Canada, told me. The primary objective of these regulations is to control the Kaifeng community – to form a kind of shell around it to block international groups from reaching them. Many in these groups report that they fear they will never again get to meet with members of the Kaifeng Jewish community in China. For the Kaifeng Jews themselves, an atmosphere of fear and paranoia has set in. 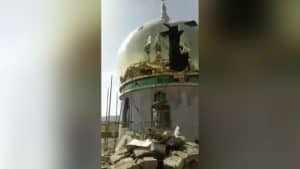 “Xi has said that religion is a major issue, and when he speaks, that has consequences,” an anonymous Kaifeng businessman told a reporter from The New York Times. “They don’t understand us, and worry that we’re being used,” he added. 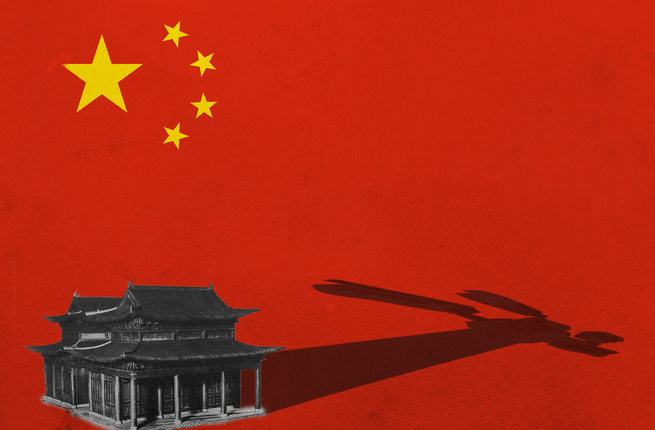 Xi Jinping’s “New Era” of China has included a massive, sprawling surveillance state that deploys state-of-the-art facial recognition software, tracking methods, increased police presence and a unified system of social credit scoring that has all combined to silence the Kaifeng Jews. They report self-censoring in phone calls and text messages due to fears they are being listened to by officials in the CCP. Many are reluctant to speak to journalists at all or speak out publicly against the surveillance state they live in. Others report being stopped and interrogated by police officers. 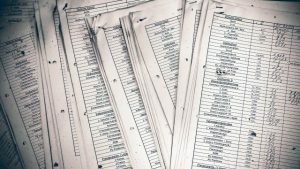 These pressures have furthered fragmented the already-fragile community: some have opposed efforts by international groups while others support them in spite of the crackdown. Over a dozen have opted out entirely and emigrated to Israel with the help of Shavei Israel. 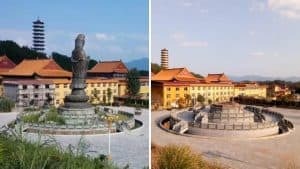 “We are working on trying to get the Chinese government to recognize the unique status of the Kaifeng Jewish descendants and to allow them to practice Judaism as they wish. This is proceeding at a glacial pace,” Laytner said to me. Jordan Paper explained to me that, “the Chinese Jews are treated no differently than any other citizens of China,” and in a sense, this is correct. The kind of fear and paranoia experienced by their small community mirror that of the Muslims and Christians around the country. Because they are treated as deviant from a CCP-mandated identity, they are continually targeted and pressured into silence and compliance. Their shared experience as marginalized peoples illustrates how pervasive the CCP’s quest for control has become. It has pushed tens of millions to the margins of Chinese society and justified crackdowns against them in the name of Han Chinese unity. As a consequence, it is erasing the Kaifeng Jews’ unique, millennia-long history and has shattered any attempt to retrieve it from the dust. Ty Joplin is a researcher and journalist at the Middle East’s largest independent news outlet, Al Bawaba, where he is focused on human rights and security in the Middle East. His work has been featured in The Baffler, the Jerusalem Post, The Huffington Post and Al-Shabaka among others. He lives in Amman, Jordan.